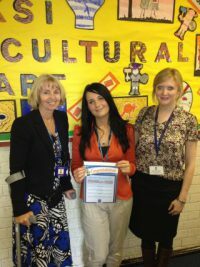 Clare Hoult is the winner of our Employee of the month for June 2012. Feedback from Egremont Primary was of a high standard and highlighted both Clare’s professionalism and drive. It soon became apparent that with hard work and commitment Clare had quickly become part of their team. Clare chose to receive vouchers for River Island Clothes store. Lauran from our Wirral Branch is looking for an experienced school administrator to work in various supply roles lo… t.co/9LyOCBiHlu Time ago 1 Day via Hootsuite Inc. Copyright © New Directions Education Ltd.